On the evening of February 26th, Heather Schein and I hosted a Digital Volunteer Workshop for the parents of Listowel Central Public School. 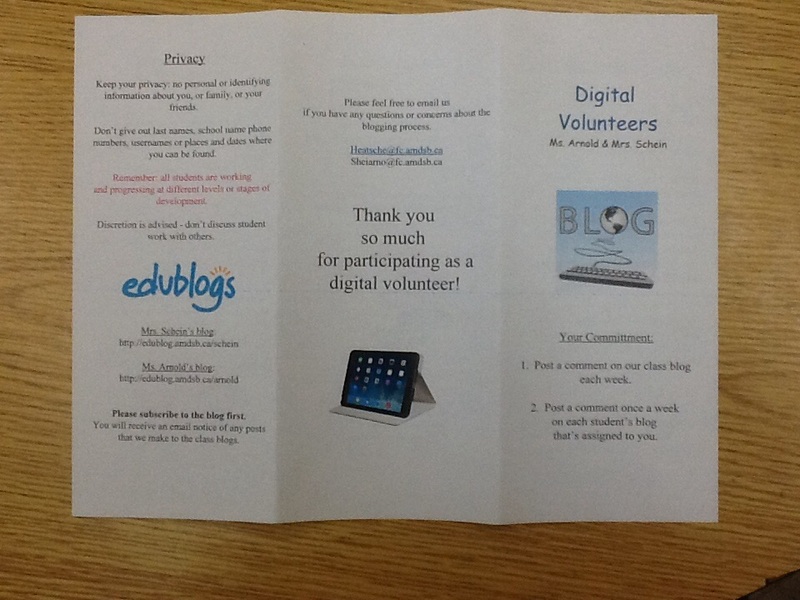 We had 9 parents turn out and sign up to be Digital Volunteers for our two classes! 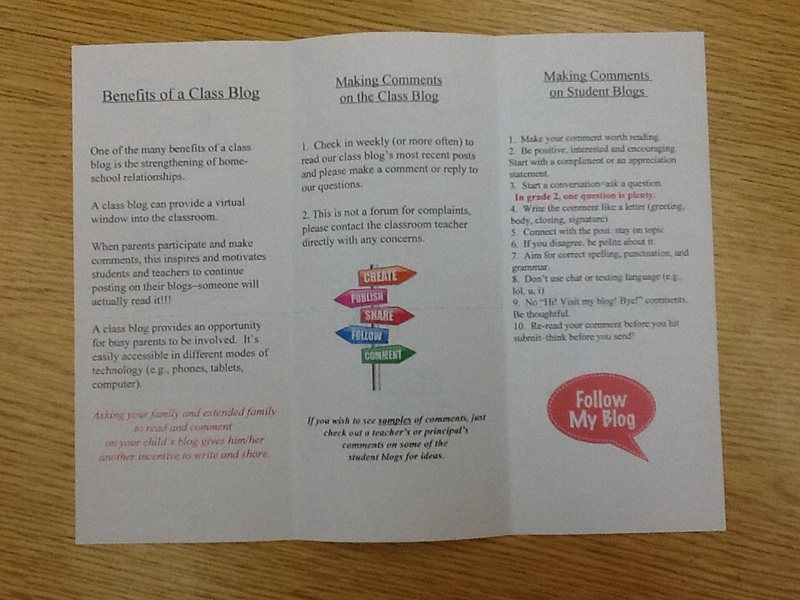 We walked them through our expectations, showed the parents examples of good comments and showed them how the blog sites work. 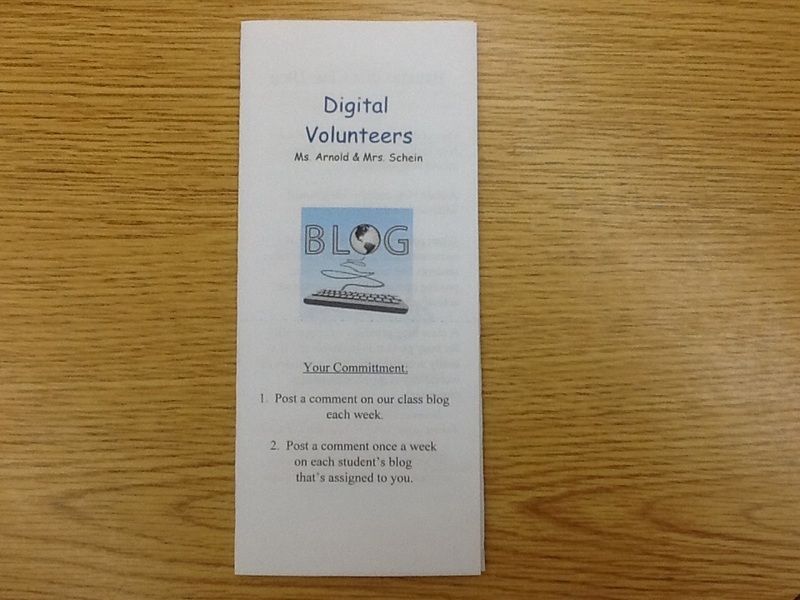 We had them sign up for the number of students they would take on to comment on their blogs weekly. Heather and I have assigned the appropriate number of students to each parent and are now looking forward to seeing the excitement of the students when they find they DO have people reading and commenting on their blogs! World Read Aloud Day is Coming March 4th, 2015! Amazing! You have created some fantastic resources here. 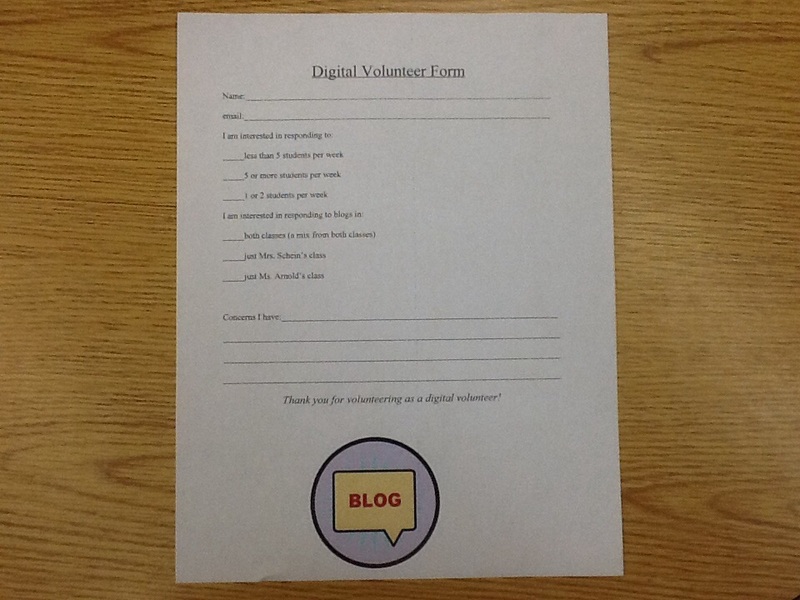 Would you consider making your volunteer form and brochure available for others to use? If you could add those documents as links to this post that would be fantastic.